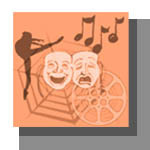 PerformerWeb is a resource with useful information for those starting out in the business (acting, singing, etc.) as well as veterans. We also offer some tips on ways for artists to promote themselves and their work, as well as links to select productions, performers and educational programs. As with many things, it is a "work in progress," but we hope a useful resource for you, at whatever point you are in your creative journey. So have a look around, and THANKS FOR VISITING PERFORMERWEB!